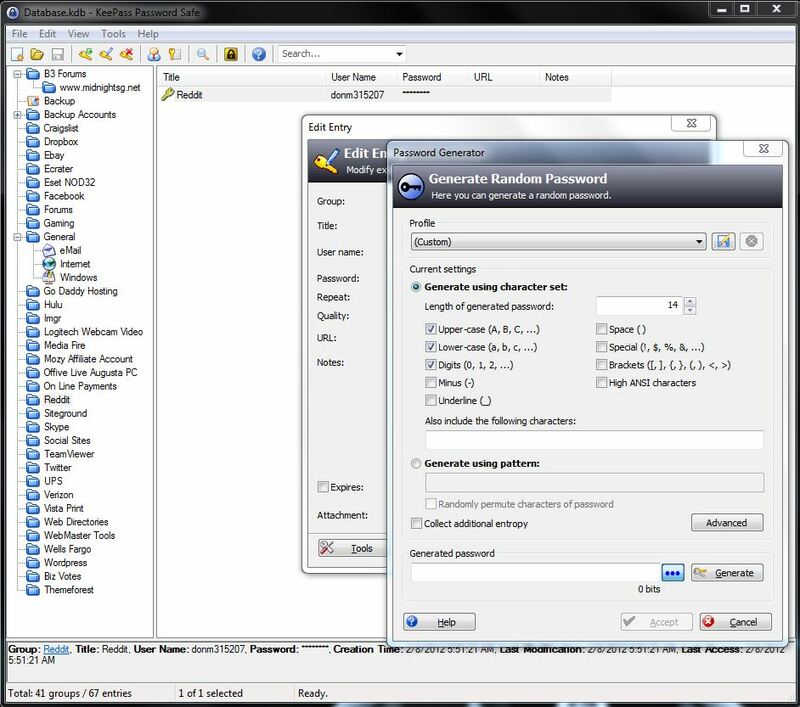 KeePass Password Vault is a free program, password management utility for Microsoft Windows. 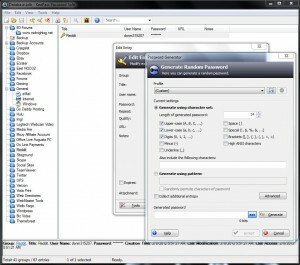 I have been using KeePass for almost 2 years now, and it very easy to setup, use and managed your passwords securely. With all the different sites, forums, email accounts, on line banking etc users needs a better way of managing and securely storing passwords and username information. Using the same password and username for all sites, or storing your passwords in text files, sticky notes or sheets of paper IS NOT a good secure method at all. 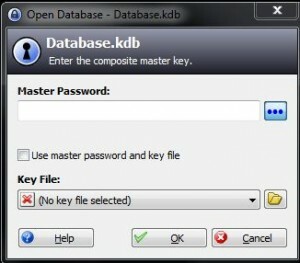 KeePass is a password vault, opened with one master password you assign, and can change frequently. You can setup Keepass and passwords by catagory and titles. 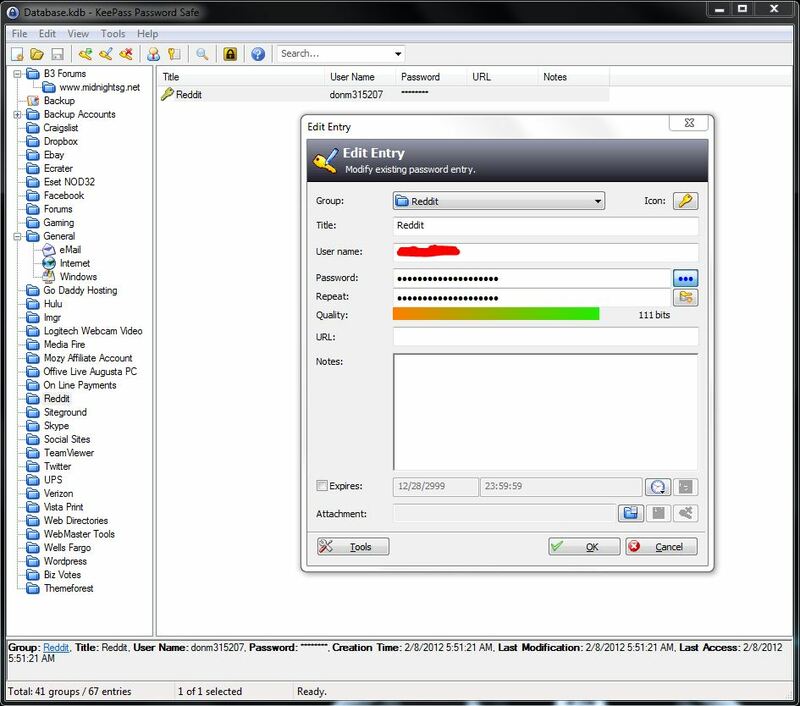 With KeePass Password Vault you can store ALL your passwords inside of one locked master database password vault. Not just for on line paswords but all your or any password information. The password list can be exported to various formats like TXT, HTML, XML and CSV. The data base file can also be exported and saved into various locations as a backup also. And how secure is this exported database file? It can only be opened with your master password assigned! Download and install Dropbox save the Keepass database file to your Dropbox account. From another computer with KeePass installed you can easily import and update your password file by downloading the KeePass database through your Dropbox account. No USB flash drives or external drives needed. Your browser stores most logon and password info (not a good idea either), but KeePAss once unlocked, opened to your password database, you can copy and paste any user names and passwords to logon to your favorite site. Neat & secure feature about the copy and paste is the secure information is only held in “clipboard” ( copy & paste) for like 5 seconds. KeePass has many important secure features, one very important feature – KeePass has it’s own password generator. Which can easily help you change, assign much more secure longer length passwords frequently.